Maskall resident, sixty year old Ervin Morales, was found lifeless in his house on Saturday with several chop wounds to his body. 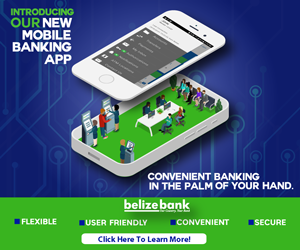 Today, nineteen year old Clive Geban and a fifteen year old minor were arraigned in Belize City Magistrate’s Court before Chief Magistrate, Anne Marie Smith for the murder of Morales. Geban was detained on Monday at the cutoff to Altun Ha Mayan site at a police check point by officers attached to the Ladyville Substation. In Court today, he and a minor were read criminal charges for murder and conspiracy to commit murder. 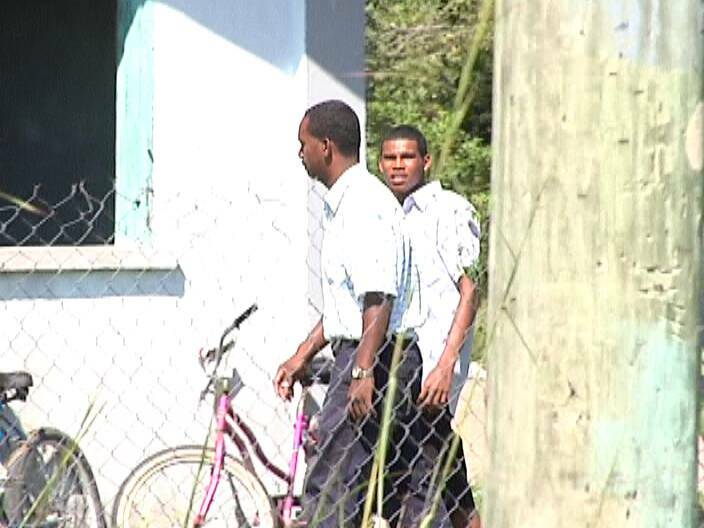 The fifteen year old minor was remanded to the Belize Youth Hostel, while Geban headed to Central Prison. They are to return to court on March seventh. It is reported that when the authorities picked up the minor for questioning, he confessed to the crime and led them to the money that was stolen from Morales’ wallet. The authorities then picked up Geban, who is also a resident of Maskall. Morales’ body was wrapped in a sheet in one of the rooms of his two bedroom house located near the entrance to the village. A resident, who cooked for him, became concerned when he did not show up for lunch at the customary time. She alerted a neighbor who found the body covered with a sheet sometime around twelve-thirty on Saturday afternoon. Hang them both hang them high lets hang them ourselves if this useless incompetent gov will not do their frecking job lets start hanging all murderers with no mercy end of story. This is another sad story. This man’s life was taken for what, money they did not even spend. Such a horrible death. This man knew he was going to die as they chopped him to pieces. What is becoming of our male children , are mothers not nurturing their boys. It is time for parenting classes at the hospitals when women are being cared for during their pregnancy. Boys needs to be hugged and cuddled just the same as girls, they need to be taught how to care and respect life and other people. What troubles me is that two kids and not one of them said no lets not do that., I wish I had a magic bullet to change the course that this country is on. @Rod, I agree with you, the death penalty needs to be brought back. The government won’t do that because they would have to hang their personal gang members, ya, they are as much a part of the gang as if they go out and commit the crimes with them. When you go to bed with the devil you are saying, “go ahead you bad boy, kill them, rob them, and do whatever else you want with them, I will protect you and look the other way.” When the government pay these people I believe that their actions are saying the above. I call on the people to rebel against this government. Good job, police. These killers deserve no mercy, and the victim deserves justice. This case points up, once again, a big problem in our law. Juvenile murderers MUST be treated the same as adults! Our juvenile crime laws are way out of date, and today’s teenagers are raised on violent movies and games, have access to drugs and guns, and sometimes even work for cartels. But GOB insists on treating them like schoolboys who played a prank! If a person is old enough to kill, he’s old enough to hang. That’s all there is to it. We need one representative who cares about protecting law-abiding citizens to push a new law like this until it is enacted. If our Minister of National Security could pull himself away from the teacher negotiations for a day or so, maybe he could lead this charge. @Storm is right. I wish some reporter would ask Saldivar or Barrow about trying juvenile murderers the same as adults. This 15 year old murderer knew what he was doing, and he is old enough to spend the rest of his life in prison to protect society and to punish him. Personally, I would hang murderers of any age, but I know the UN has agreements that forbid hanging anyone under the age of 18. No mercy for murderers! NO MERCY …NO MERCY NOR FORGIVENESS, NONE AT ALL. NEXT, WHY THE !&*&! @ NOT SHOW PICTURES OF THE SO-CALLED MINOR??? HE HAS BIG BIG ! @&&*&& TO KILL !!!! HANG HIM , WE ARE TIRED OF THESE WOLVES, SO TIRED OF THEM, PLEASE HANG THESE @$$#$, PLEASE DO HANG THEM HIGH UNTIL THEIR NECK BREAKS AND SCAVENGERS DEVOUR THEM!!! Yep, that’s the way of some societies today, victims gets no justice it’s all about the criminals especially murderers, they get the royal treatment while families suffers after loosing a love one or a breadwinner. No one give these families any payments for their grief and suffering or even try to help them to pickup the pieces when a good citizen is murdered. These criminals are being treated like celebrities, nothing will be done to these murderers, they’ll get a slap on the wrist and go on with their lives. As, I’ve said before the powers that be, are trying to imitate America it is not working there, what makes anyone think it will work here? Nothing good comes easy, it takes hard work the way we used to do it in Belize. I was so proud of my country especially when traveling abroad, people would say where are you from? and say what manners and respect you have and, can also carry on intelligent conversations. I wonder if that’s the way it still is today? 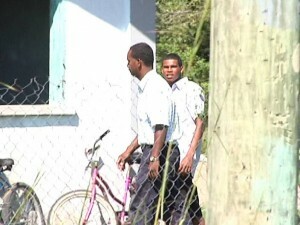 One thing I can say today everybody knows even criminals where Belize is. I agree with you. I used to be so proud of my country. I live abroad for many years & I was always complimented ln how intelligent & well mannered Belizeans were. Sorry to say,but I now receive negative reaction or silence to avoid offending. @concern#2, you’re so right. Our schools used to teach grammar and manners, but somehow we have failed to continue that tradition and pass it on to the younger generations. Too much bad influence from all the modern cultural pressures, rap songs, television, drugs, and the problem of immigrant students and teachers who don’t speak English so we don’t have a language that defines and unifies us. I guess I sound like a grouchy old croak because I have become one. Teachers and Public Servants to march against G.O.B.